There are many different ways to advertise, but not all of them will work for your business. That’s because there is no exact science to advertising; it’s different for every industry. And the only way to know if a method is working for your business is to track your ads and the return on investment. 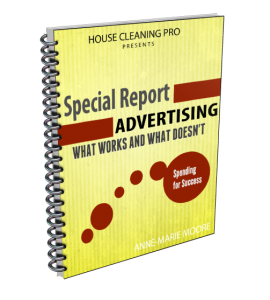 If you are extremely limited with your advertising budget, you’ll want to get this report just for the information I provide on using business cards – an economical way to start your advertising when you know how to use them effectively. Avoid losing money on the wrong, ineffective advertising when you know the basics of tracking your ads, calculating your conversion rate, and determining your lead value. This information will reveal your high-converting ads, identify how many leads you need each month to sustain your business, and how much you should pay for advertising.